Dancing with the Professors is another annual ballroom event, typically held in the spring. 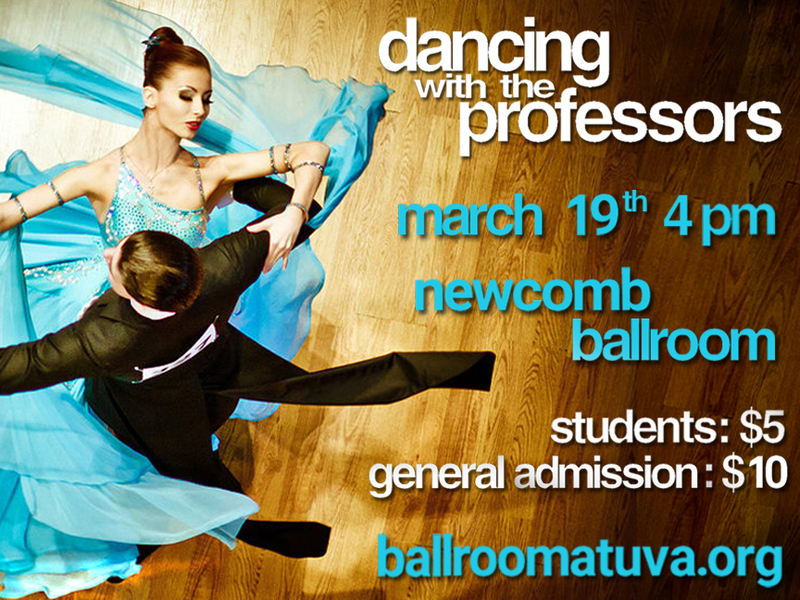 This is the place to go for University professors to get involved with the ballroom community! We get interested professors and pair them with one of our veteran dancers who teach them basic choreography and technique in a given style. Dancing With the Stars style, there is a panel of judges to offer positive feedback on the performances and then determining which of the professors gave the best performance! Past winners include Professor Shilpa Hanumantha (ASL) and Professor Kate Tamarkin (MUSI). These are showcased in the event, open to the University community. Your ticket buys you entry, refreshments, social dancing, and the opportunity to see the fantastic professors perform! Dancing with the Professors will be held in the Spring 2017 semester on March 19th, at 4pm, in Newcomb Ballroom. Mark your calendars! You can RSVP on the Facebook Event HERE. Tickets will be $5 for students and $10 general admission. We’re always looking for professors to perform! 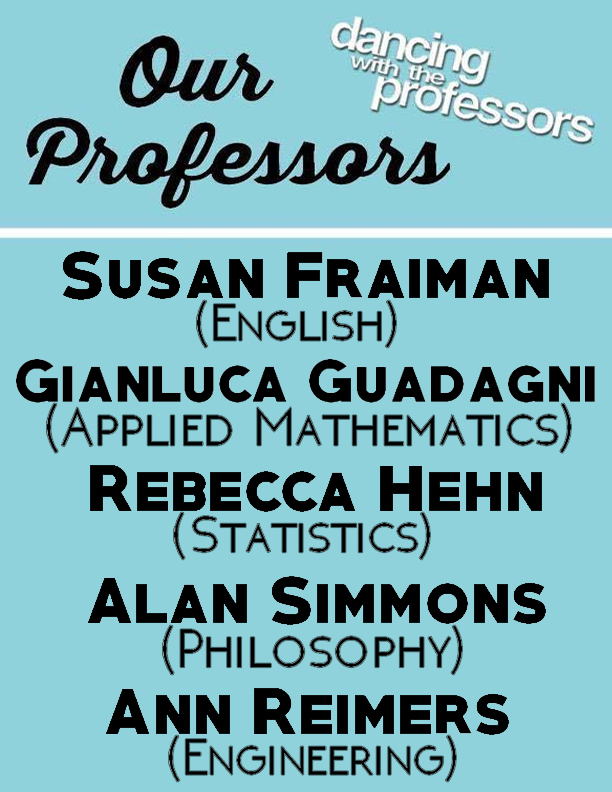 If you are a professor interested in participating next year, please contact our Special Events Coordinators!